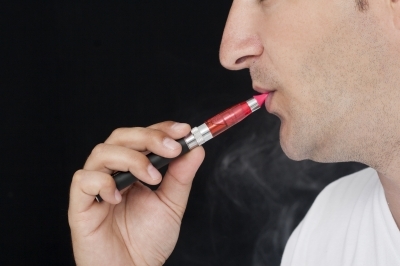 Electronic Cigarettes may be a gateway for teens to use other substances. The Centers for Disease Control just released a study that says in just one year the number of teenagers using electronic cigarettes has tripled. That’s astounding! As someone who does therapy with adolescents on a regular basis I hear about teens using e-cigarettes quite often. Usually this is in the context of a teen who already uses regular cigarettes and wants to quit. Often they find quitting to be too difficult, but rationalize that if they switch to an e-cigarette at least it will be less harmful to their lungs. The article about the CDC report expresses concern that the novelty of electronic cigarettes is causing more teens to try tobacco products. There are a significant number of teenagers who won’t try cigarettes because they are bothered by the smell, smoke and stigma of cigarettes. The CDC worries that this may not be true of e-cigs. Based on countless hours of counseling with teens who use various mood-altering substances, including tobacco, I can definitely agree with the article that electronic cigarette use is on the rise. And, of course, like anything out there, if there is a way to abuse it, adolescents will figure it out. One thing I have heard consistently is that teens use e-cigs to get high off cannabis. They either use oils, or “dabs” (wax) with cannabinoids in it. It puts concentrated THC into the electronic cigarette, thereby creating an intense high. Some teens tell me this has felt more like hard drug use than traditional marijuana use because the high is a lot stronger. Like all things that have the potential to tempt your teenager, have a discussion with them. Find out if they have used an e-cig, have friends who do, or if they have ever even seen one. As a parent, I encourage you to take a little time to educate yourself. E-cigs often just look like fancy writing pens so your teen could have had one hidden in plain sight. You also can’t smell them because they are simply vapor (steam) so if you have a teen with a history of marijuana abuse, make sure they don’t use an e-cig in their bedroom unbeknownst to you. For as long as any of us has been alive, teenagers have experimented with tobacco and marijuana. Most of the time it’s only a short-lived phase. It’s not something to just dismiss, but it might not be something to feel completely overwhelmed and scared by either. However, for certain teenagers, tobacco products and marijuana are truly a gateway into much more frightening substances. They also both can be addicting in their own rights, and have health consequences. Regular marijuana use also has consequences that often look like laziness, lower grades, worsening attitude and a change in friends. I know there’s already so many things to keep track of that weren’t around when we were young, but just keep asking the questions and be aware of who their friends are. This parenting thing isn’t for the weak!